Who doesn't want to wear a cape all of the time? What about ears? Who doesn't want to wear ears? Happy Superbowl sports fans! Are many of my followers sports fans? I don't know, I'm not particularly into sports, but the SB is a big deal. In honor of that, here is a figure that I will be clothing later this month "Tebowing". 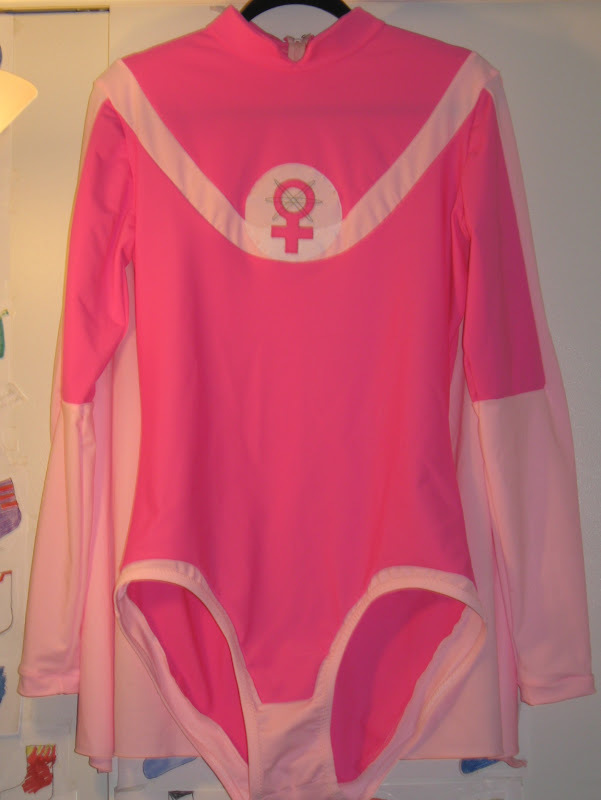 Also in honor of the Superbowl is one of the girly-est costumes I've ever sewn. One of the most difficult parts was just trying to decided on what pink fabrics to use. 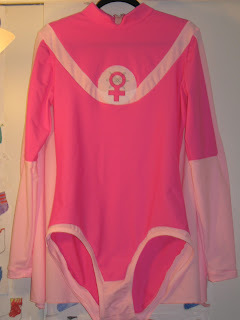 Obviously I needed two shades of pink, and spandex comes in tons of different shades of pink! Once I picked the colors and got the fabric in my hands, the costume came together smoothly.